Posted by Lorea Thomson on Friday, March 28th, 2014 at 9:26am. There is good news and not such good news when it comes to filing taxes this year. The IRS has made home office deductions simpler, and increased the deduction for using your vehicle. Some information about virtual money you should be aware of too. Here is a brief review of a few of the changes you should be aware of this year to discuss with your professional tax advisor or C.P.A. If you have had a successful 2013—so successful, in fact, that you find yourself in the highest tax bracket—be prepared to pay more than you did last year. That is because in the American Taxpayer Relief Act of 2012, Congress created a 39.6 percent bracket for taxpayers whose adjusted gross income exceeds $400,000 for a single filer or $450,000 for joint filers. Last year, the highest tax bracket was 35 percent, so the increase is significant. 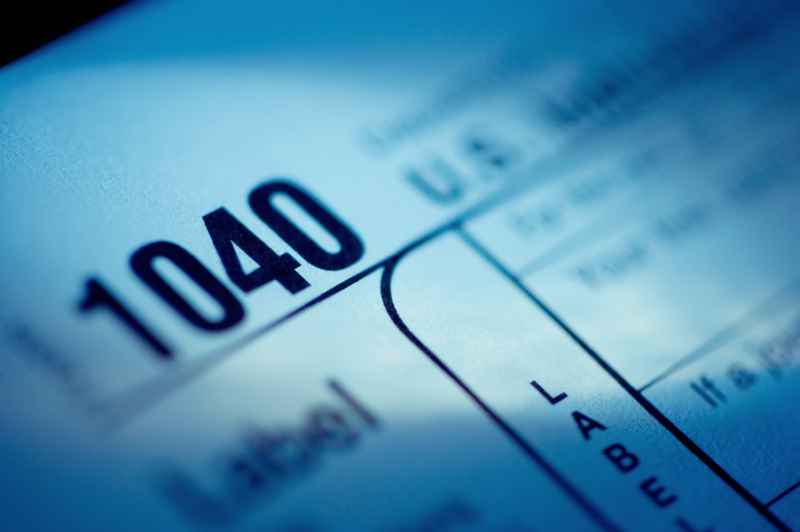 Under the Bush-era tax structure, there are six brackets, of 10, 15, 25, 28, 33, and 35 percent. The law adds the 39.6 percent as its seventh bracket. Unlike conventional money, a Bitcoin is generated by computers and is independent of control or backing by any government or central bank, which its proponents like, but which also has led to calls for more guidance on U.S. tax treatment. Thus bringing up the "murky tax question for the digital age", the U.S. Internal Revenue Service said on Tuesday that Bitcoins and other virtual currencies are to be treated, for tax purposes, as property and not as currency. The IRS stated general tax principles apply to property transactions using virtual currency. Discussion of BitCoins must be taken up with your professional tax advisor. The IRS now gives you a choice in how to claim the deduction for your home office. You can calculate it the way you always have, based on the percentage of your home dedicated to your business activities, which requires you to track expenses such as utilities, insurance, and depreciation. Alternatively, you can use the IRS’s new simplified method, under which you take a straight $5 per square foot deduction, up to 300 square feet, for a maximum total deduction of $1,500. The IRS adjusts how much you can deduct for business mileage each year, affected by fluctuations in gas prices. For your 2013 filing, the deductible standard mileage rate has increased a penny to 56.5 cents per mile. A new 3.8 percent surtax on net investment income for high-income filers takes effect with the 2013 filing. Although a small percentage of home sales can trigger the surtax for individuals with modified adjusted gross income exceeding $200,000 or $250,000 for married couples filing jointly, it is not a real estate transfer tax. Calculating the tax can be complex and is best done with the assistance of a professional, but, if your income exceeds the limit and you have non-earned or investment income, including net rents and capital gains from the sale of property (including from the sale of a principal residence), the net investment income tax could apply. Keep in mind how the sale of a principal residence factors in: The $250,000 to $500,000 in potential capital gains exclusion is key in determining whether the surtax kicks in. If a house is sold for a gain of more than $500,000 (gain, not sales price), then the $500,000 is excluded ($250,000 for a single filer) to arrive at the taxable gain. For a realized gain of, say, $530,000, only $30,000 is considered investment income under the IRS rules. The health reform law also created a 0.9 percent Medicare tax, also known as the “additional Medicare tax,” because it is assessed in addition to the existing 2.9 percent Medicare tax, which applies to your earned wages, compensation, and self-employment income. The additional tax is applied to earned income in excess of the applicable threshold amount for your filing status, generally $200,000 for a single filer and $250,000 for joint filers. Another important change concerns the year 2014 but not your 2013 tax filing, and that is the penalty the IRS will impose on you if you did not have health insurance by March 31 of this year, which was the end of the open enrollment period. The penalty is $95 per uninsured person in your household (half that amount for each uninsured dependent under age 18), capped at 3 dependents, or 1 percent of your taxable household income, whichever is greater. Not any insurance will do. It has to be insurance that meets the law’s “minimum essential coverage” requirements, generally what is known as a bronze, silver, gold, or platinum plan. These plans differ in their cost and the deductible amounts, but they’re all considered major medical plans that meet the law’s requirements. As always discuss, please discuss with your tax professional advisor. Any inquires you may have pertaining to real estate matters should also be discussed with a real estate professional, please consider the specialistists in waterfront residences at Waterfront Properties and Club Communties. Please direct an email to: INFO@wfpcc.com.